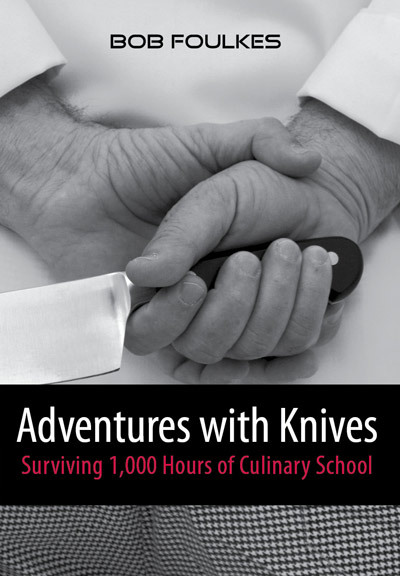 Adventures with Knives: Surviving 1,000 Hours of Culinary School is an exciting new culinary book just released by author Bob Foulkes. Inspired by Julia Child’s great passion for food and a certain animated French rat, Bob Foulkes takes his leap and enrols in the six-month culinary program at Vancouver’s renowned Pacific Institute of Culinary Arts. In this hands-on program — 1,000 intensive hours — Bob (the oldest student in the class, by a long shot) faces the many rigorous mental and physical challenges of culinary training with grace, humility, and good humour. 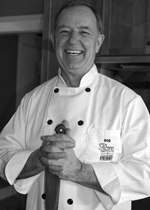 Filled with technical and personal details of Bob’s culinary education, this behind-the-scenes account of life in a professional training kitchen is both eye opening and inspiring. Whether facing a career change, or mid-life change Bob’s timely and honest book will strike a cord with readers seeking their own adventures.